Exporters may take goods to the ICD/CFS and file the Shipping Bill and other documents. He The customs officers examine the goods and they are stuffed into the containers and thereafter the containers are sealed. The Container Corporation of India or any other authorized agency, either by rail or road, transports such containers to the seaports. Then, the containers are loaded into vessels for delivery of the same at the specified foreign port. 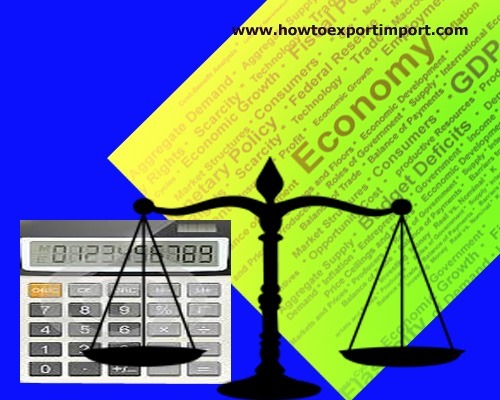 In the case of export through ICD, the exporters are requested to file two additional Copies of Shipping Bills known as "Transference Copies" along with other documents, as already discussed. The rest of the procedure is the same as in the case of exports through Customs Port/Airport. When the importers intend to import the goods through a particular ICD, they should suitably advise the foreign suppliers so that the containers are manifested to that particular. ICD. As the name of 'ICD is written visibly on the outside of containers, it facilitates movement of goods to proper destination, without any confusion. When such containers are landed in a seaport, they are arranged to be transported to the ICD concerned by the Shipping company agent through Container Corporation of India or any other authorized agency, either by rail or road. Once containers are received in the ICD, they are transported to the Container Freight Station where the importers have to file Bill of Entry and other documents as they do in the case of clearance through seaports or airports.